The Huskers added a homegrown big man to their 2019 recruiting class. Norfolk Catholic lineman Ethan Piper‍ became the third member of the 2019 recruiting class. Once Piper got the offer from Nebraska last week, it was expected that he would join the class quickly despite his plans to attend junior days at Iowa over the weekend. On Monday, he made it official. The 3-star lineman (Hail Varsity Rating: 82.8) could play either offensive line or defensive line in college, but right now Nebraska is looking at him as a defensive lineman. His position flexibility makes him an even more valuable asset to the class. I was able to catch up with Piper to ask him what it means to him to be part of the ‘Big Red Revival’ and his answer will make him an instant fan favorite. “Man, it means everything," he said. "It sounds cliché to say that it is every Nebraska kids' dream to wear the [scarlet] and white, but it is. I grew up idolizing [Ndamukong] Suh and had Blackshirt posters all over my room. In fact, to be honest, I still have one up! Our family never had season tickets but would scratch up enough money to go to at least one game every year. I'd sit next to old ladies who I [had] never met who would give me their leftover popcorn and we'd leave as friends. 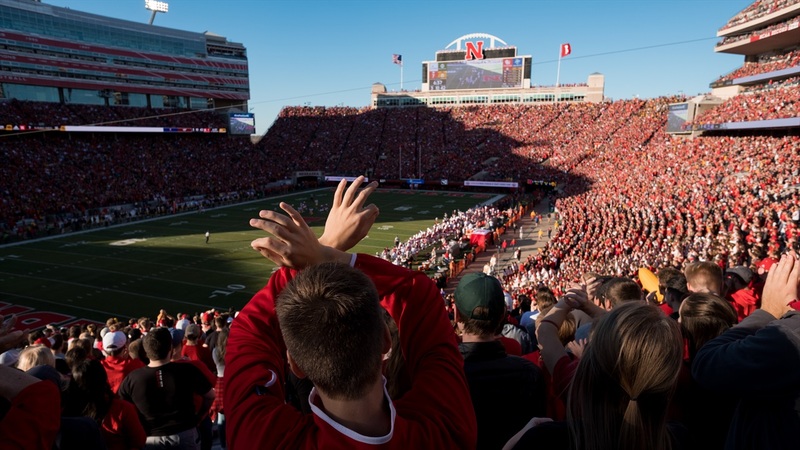 It's not just a game or a sport here in Nebraska but the lifeblood of so many. Piper joins Scottsbluff defensive end Garrett Nelson‍ and York ATH Garrett Snodgrass‍ as the first three commits of the 2019 class. The in-state 2019 and 2020 classes are particularly strong so Nebraska certainly hopes there are many more in-state players that follow these guys in choosing Nebraska.